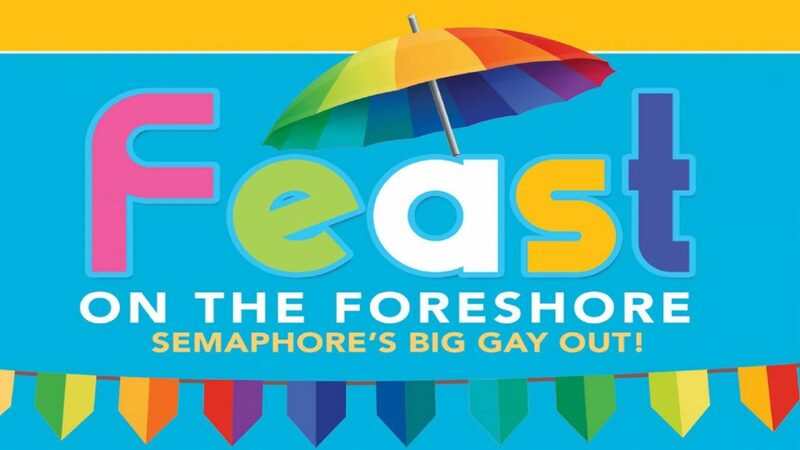 Semaphore Mainstreet Association and Feast are working together to bring you Feast on the Foreshore – Semaphore’s Big Gay Out – a FREE family-friendly Adelaide Fringe 2019 event! Come along and support our LGBTIQ community in a family-friendly celebration of all things queer! Enjoy and be a part of fun activities such as a free entry dog show or even grab some friends and join in the tug-of-war! Be enveloped by the delicious tastes of local food vendors and be tempted by the wares at the artisan stalls. Even enjoy free Wi-Fi from Kern Wi-Fi! Our Queer Amnesty International Adelaide Action Group will be holding a stall in order to collect signatures on our relevant petitions. You can also join in on our Knitting 101 sessions in our tent, with all materials supplied! Bring your picnic rug and join in the fun! Sunday 17th March 2019 – Sunday never looked so good!! 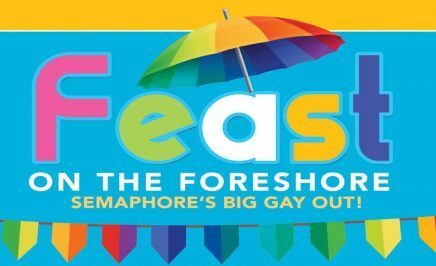 Semaphore Foreshore Park, Esplanade, Semaphore – 11am – 5pm!